Jen was born in Glasgow's Southside and lived in Glasgow all her life, attending Cuthbertson Primary and Shawlands Academy. At the age of 26 after gaining a BSc (hons) in Psychology and MSc in Research methods and statistics, Jen moved to Parkhead, much to the relief of her mother. Since then Jen has worked for the NHS starting in Yorkhill Hospital in a variety of roles including admin assistant, junior doctor inductions and paediatric stem cell transplant quality manager. 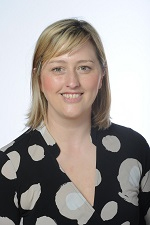 Jen's career has focussed on evidence based clinical guideline and standards development with Scottish Intercollegiate Guideline Network (SIGN), National Institute for Health and Care Institute and Healthcare Improvement Scotland. Jen also worked for 3 years with Marie Curie delivering palliative and end of life care service redesign project for Argyle and Bute HSCP. Jen's key interests are in health and social care improvement with a focus on developing person-centred services. Jen became actively involved in politics in September 2014, serving as branch organiser and election agent in the Scottish Parliament 2016 elections, EU referendum, Local Authority elections 2017 and General Election in 2017. Jen was elected for the first time in 2017 as councillor for Calton Ward and appointed to the city cabinet as Convenor for Equalities and Human Rights.